vely studied by several authors in the last two decades. 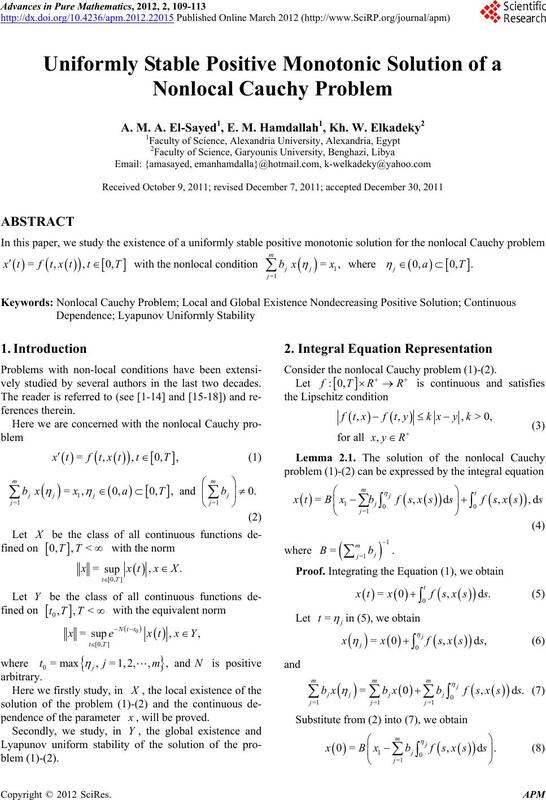 Consider the nonlocal Cauchy problem (1)-(2). A. M. A. EL-SAYED ET AL. be satisfies the Lipschitz condition. 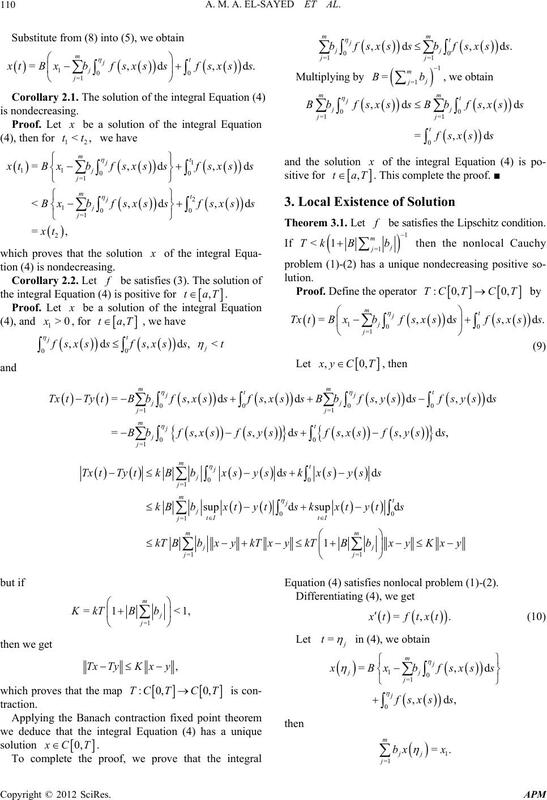 Equation (4) satisfies nonlocal problem (1)-(2). problem (1)-(2) is uniformly stable. 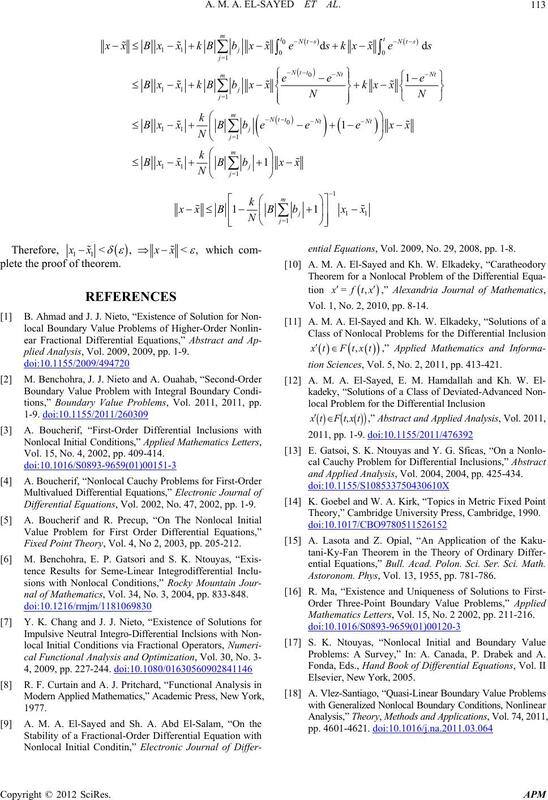 plete the proof of theorem. plied Analysis, Vol. 2009, 2009, pp. 1-9.
tions,” Boundary Value Problems, Vol. 2011, 2011, pp. Vol. 15, No. 4, 2002, pp. 409-414. 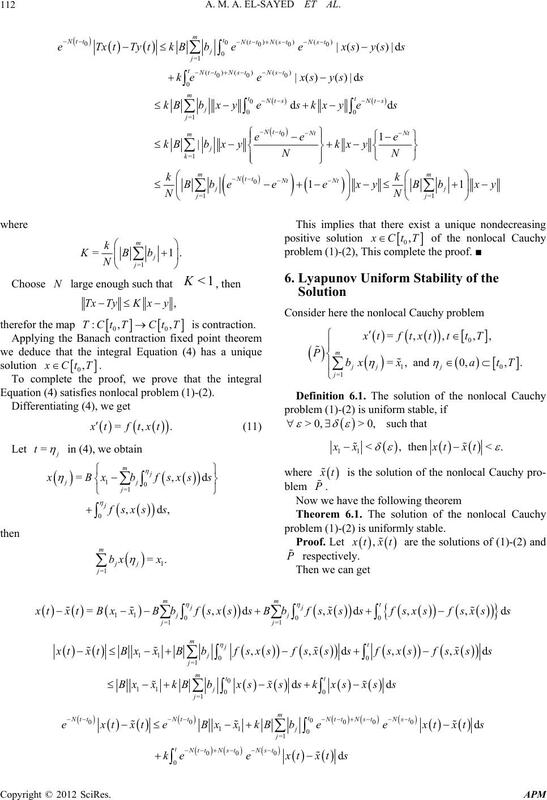 Differential Equations, Vol. 2002, No. 47, 2002, pp. 1-9. Fixed Point Theory, Vol. 4, No 2, 2003, pp. 205-212.
nal of Mathematics, Vol. 34, No. 3, 2004, pp. 833-848.
ential Equations, Vol. 2009, No. 29, 2008, pp. 1-8. Vol. 1, No. 2, 2010, pp. 8-14.
tion Sciences, Vol. 5, No. 2, 2011, pp. 413-421.
and Applied Analysis, Vol. 2004, 2004, pp. 425-434. 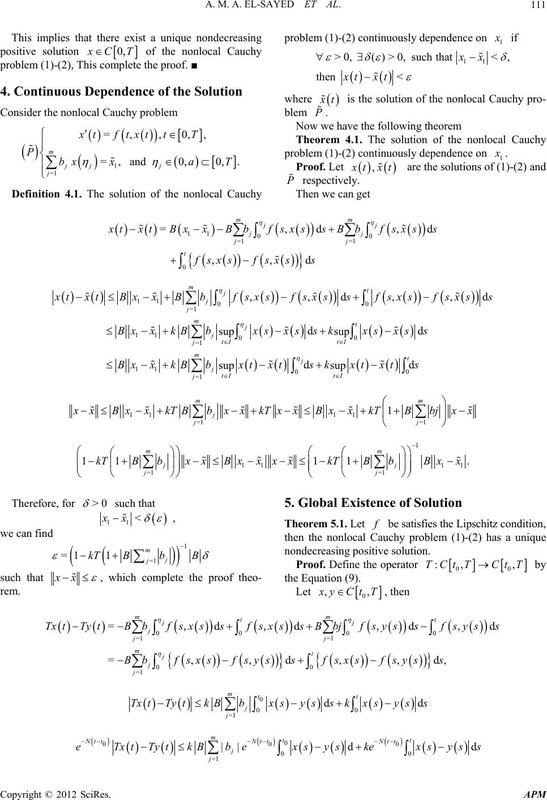 Theory,” Cambridge University Press, Cambridge, 1990.
ential Equations,” Bull. Acad. Polon. Sci. Ser. Sci. Math. Astoronom. Phys, Vol. 13, 1955, pp. 781-786. Mathematics Letters, Vol. 15, No. 2 2002, pp. 211-216. Problems: A Survey,” In: A. Canada, P. Drabek and A.